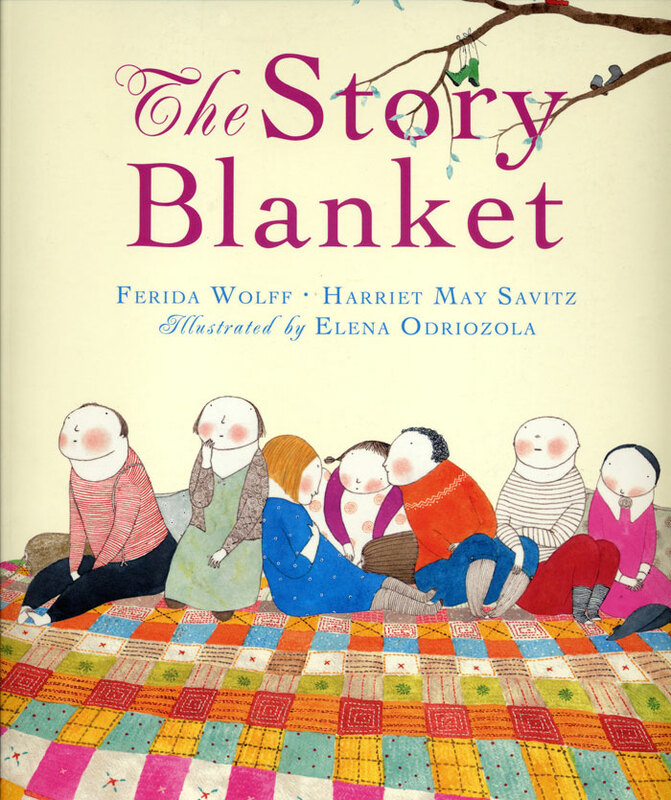 In this land of outstanding picture books, how does The Story Blanket, by Ferida Wolff and Harriet May Savitz, manage to take excellence to an even higher level? Well, in the words of the kindly main character, Babba Zarrah, “Every question has an answer,” and here it is. In the story, grandmotherly Babba Zarrah has the self-appointed job of telling stories to inquisitive village children who gather on her colorful blanket. But when she notices a hole in one of the children’s shoes, Babba Zarrah unravels a little of the story blanket to mend it. Such a small loss barely affects the story blanket, until…Babba Zarrah notices that the postman needs a neck scarf, the schoolmaster has no mittens, and one of the ladies in the village has no apron. Without thinking twice, generous Babba Zarrah unravels pieces of the beloved blanket again and again, until there’s nothing left. The village children still want their story, but now they have nowhere to sit, plus the village people can’t rest until they give as generously to Babba Zarrah as she has given to them. The Story Blanket is a lovely story that absolutely has it all: Outstanding illustrations, clever, heart-tugging prose, and brilliant colors and patterns that all come together to make for the perfect picture book experience. The plot is original, the pace is good, and the simple prose is exciting enough to hold the reader’s interest long after the last page is turned. This book would be a great story-starter for a discussion on giving, or for illustrating old proverbs, like “you reap what you sow.” Social studies teachers can use it to identify and discuss familial characteristics, and art teachers can use it to discuss quilting and folk art. 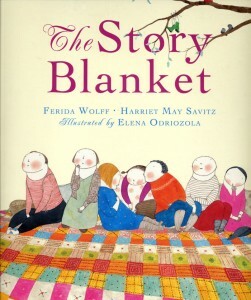 For the little book that has it all, be sure to pick up a copy of The Story Blanket. 5 STARS!